While most people had thought the greatest suffering inflicted by the programmes had been on the viewing public who have been subjected to them on a daily basis, it has emerged from recent studies that even more harm may have been caused to unsuspecting insect populations. Although the SPCI were unable to find anyone admitting to actually having watched the shows, research conducted in association with the Council for Research into Awful Programmes has shown that insect abuse has increased by a staggering 45% since Survivor first aired. 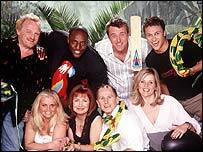 ITV's Survivor introduced insect-eating challenges in 2001, where competitors had to eat live grubs. In series two a year later live crabs, locusts, beetles, and fish eyeballs were on the menu. The most recent series of Almost a celebrity saw unemployable would-be stars abusing crayfish, cockroaches, rats, snakes, eels and crickets. The SPCI unreservedly condemns this unconscionable cruelty, but appreciates that in these cases prosecution may be inappropriate as the people involved are clearly in need of urgent psychiatric help. Nevertheless, by presenting the torture of helpless insects as entertainment, these shows have clearly desensitised viewers not only to substandard programming but also to unprovoked violence against insects. Granada, which makes the show, said: "Granada takes every precaution to ensure that animals are not hurt in the making of our programmes." It is unclear to the SPCI exactly how Granada ensures that animals are not hurt whilst being eaten alive, but some of the more extreme members of the Insect Rights Activists have expressed interest in researching this matter personally with Granada executives.